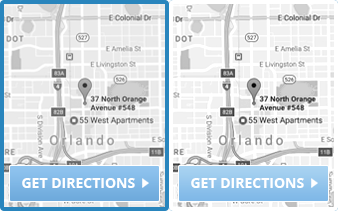 Anyone dealing with a disability quickly becomes all too familiar with the rotating door of doctor visits that are necessary to manage the disability. The frequency of these appointments allows doctors to become very familiar with the history and well-being of their individual patients, which is important in Social Security Disability Insurance (SSDI) cases. Medical evidence forms the base of all SSDI claims, and is the primary source used by SSDI examiners to make decisions on whether to approve a disability claim. In fact, up until earlier this year, so much importance was placed on a person’s primary treating physician that the opinion of this doctor was given extra weight at disability hearings before administrative law judges (ALJ). However, this long-standing rule was changed at the end of March, and affects all disability claims filed after March 27. Under the new guidelines, no special deference will be given to the opinions of treating physicians, and Social Security Administration (SSA) examiners and ALJs are now directed to evaluate all medical evidence equally, regardless of the source. The new focus will be on the substance of the medical evidence, and the level of agreement on the claimant’s disability by all medical sources. This significant change is likely to make it harder to obtain approval of an SSDI claim for particular conditions, and a discussion of the specific impact the new rule could have on the evaluation and processing of certain SSDI claims will follow below. The likely impact of this rule change will depend heavily on the disabling condition/illness upon which an SSDI claim is based. For those with conditions that can be confirmed by objective diagnostic testing, such as congestive heart failure or acute kidney disease, the impact should be less since the presence of the disease is understood to lead to the disability and is easily verifiable. However, for those suffering from conditions without a straightforward method of diagnosis that often require meeting with several specialists before a determination is made, such as fibromyalgia, chronic pain, PTSD or anxiety, the road to approval will probably be harder. Since ALJs will no longer be obligated to give additional weight to the opinion of a treating physician, it will be easier for them to deny a claim if other medical consultants, including those that did not perform their own examination of the claimant, have differing opinions. If the totality of the medical evidence does not appear consistent and/or persuasive enough in the eyes of the ALJ, this would be sufficient grounds to deny the claim. Common sense should allow one to realize that a doctor who treated a person for years is in a much better position to produce an informed opinion over a consultant who spent 30 minutes reviewing a file, but unfortunately, the new medical evidence rule seems to discount this factor. Since the new rule on medical evidence could lead to the denial of an even greater number of disability claims, more disabled individuals will have to appeal farther into the SSDI determination process. These additional appeals will only add to an overwhelming backlog of claimants waiting to have their claim reconsidered by another evaluator or ALJ. Currently, more than one million people across the country are waiting for a disability hearing in front of an ALJ, a number which will increase if the budget proposed by the Trump Administration is enacted. Consequently, under the new rules, claimants with less easily-diagnosed conditions will need to exhaust all established methods of treatment and present even more evidence of the debilitating effects before approval will be granted. 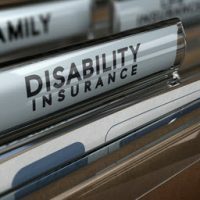 In light of this situation, working with an experienced disability insurance attorney from the beginning is even more necessary to getting the needed benefits. If you are trying to get approval for disability insurance benefits, do not wait until you receive multiple denials to seek the assistance of a disability insurance attorney. An attorney will know who to present your case most effectively, including the types of evidence most likely to convince a judge or examiner a disability exists. Farrell Disability Law understands how overwhelming the disability process can be, and will work to get the benefits you deserve. 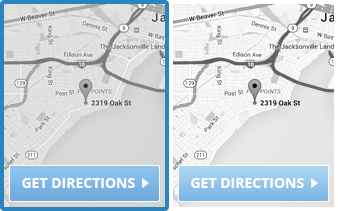 If you live in Jacksonville, Orange Park, Callahan or the surrounding area, contact the office for a free consultation.